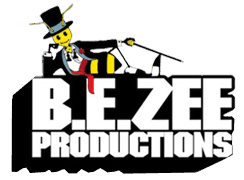 B.E.ZEE PRODUCTIONS works with Video Editors that are dynamic team-players who have a strong ability to work independently, professionally and are loyal to the company. These editors use their creativity to help tell a story, while learning and growing in the industry. They are efficient, multi-tasking, dependable, reliable workers that have an in-depth knowledge of video production editing techniques, video equipment and tools. Our editors are observant, keen on details, goal oriented, strong work ethic & results-oriented professionals. Our Video Editors not only have sound knowledge and experience, but editors who are adept at audio synchronization and editing, editors who are versed with titling techniques and graphic design principles to produce innovative and rich content and editors who can provide technical advice, direction and guidance on media projects. Some of the projects the editors associated with B.E.ZEE PRODUCTIONS have completed consisted of developing visual content and assembling a variety of communication channels including video films/scripts, images, audio formats and graphic elements. B.E.ZEE works closely with the client in order to visualize the script/content the same way the client visualizes it, always sure to meet pertinent deadlines. This is what you can expect when you bring on B.E.ZEE PRODUCTIONS to take care of your editing needs.